One of the most important Jaguar cars ever built has been unveiled in Bridgnorth, Shropshire, after 7,000 hours of restoration. The one and only factory Low Drag lightweight E-type has been put back together in one of the most complex restorations ever to take place anywhere in the world. More than 300 guests saw the car unveiled at the Classic Motor Car Limited’s workshops in Bridgnorth. When it crashed in at the Montlhery circuit in 1964 the Lindner Nocker E-type was so badly damaged that a complete restoration was thought to be impossible. Now, some 47 years later, the car has been put back to its former glory using more than 90% of the original parts. Four years ago Peter Neumark, through his Classic Motor Cars Limited’s (CMC) business in Bridgnorth, started the restoration of the car, which was a mangled wreck. Many said that it could not be done and that most of the parts including the body panels, which had been bent beyond recognition, could not be used. However, Peter Neumark and CMC’s team of dedicated restorers have put the car back into the condition that it was just before the crash. 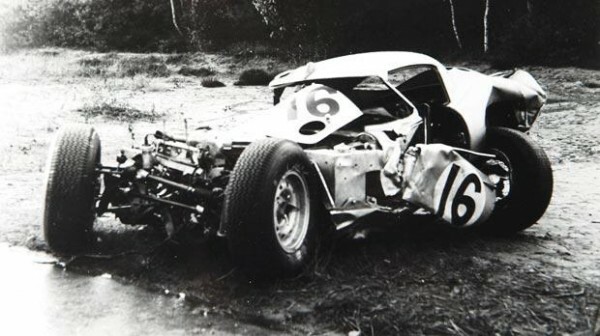 The Lindner Nocker Jaguar E-type Low Drag Lighteight after the crash in 1964. Over five thousand hours went into restoring the body alone. The original crashed monocoque which had been deemed too difficult to restore in the 1970s was disseminated into individual panels. Each panel was then flattened, repaired, reformed into the original shape and then the structure was riveted and spot welded together as per the original construction method. The restoration was assisted by the family of Peter Lindner, the driver who died in the crash in 1964, who provided old photographs and cine footage of the car. Peter Wilson, who worked in the Competition Department in 1964 and worked on the car in period, was also tremendously helpful but special praise needs to go to Andrew Turvey at CMC who dedicated himself to ensuring that every aspect of this amazing car was as per the original spec. 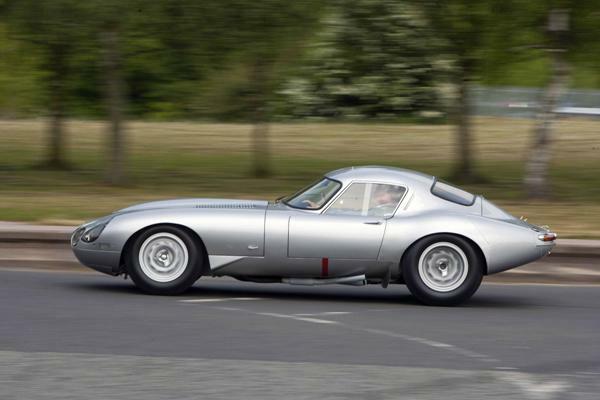 The importance of this car cannot be over estimated – it was one of only 12 lightweight E-Types built by Jaguar in 1963 and, in 1964, it was returned to Browns Lane, Coventry where, in preparing the car as Jaguar’s unofficial entry for Le Mans that year, Malcolm Sayer designed a special low drag body and work to the engine ensured that it was the most powerful Jaguar the Competition Department had ever produced. The car therefore became the last Competition car prepared by the factory in Browns Lane, Coventry – fitting then that its restoration should be completed during the E-type’s 50th Anniversary year. 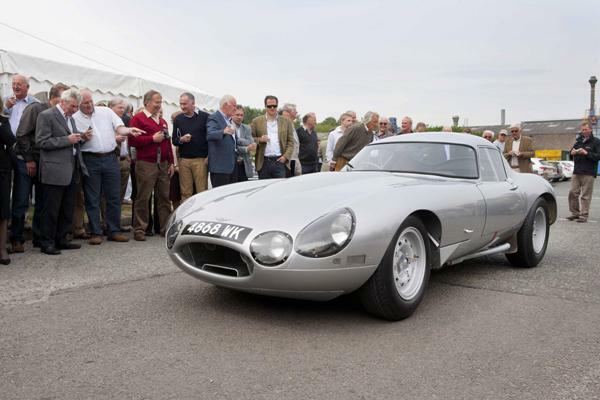 The car has now been invited to some of the most famous car events around the world, but before heading off to Italy and then America, it was unveiled to the media in Bridgnorth. Norman Dewis, Jaguar’s famous test driver, the original driver’s nephew, Tomas Fritz, the Frenchman who found the car in a garage ten years after it crashed, Patrick Lansard, as well as the team which have dedicated their lives to putting it back together just the way it was were all on hand at the unveiling. The presentation given by this most gifted panel beater at the Andrew Whtye lecture in November 2011,accompanied by pictures,and a story that suggested any rescue/restoration was beyond reasonable possibility overturned rationality and the result was on display for us all to see. A great credit to this British Company is in order. Thank you CMC. 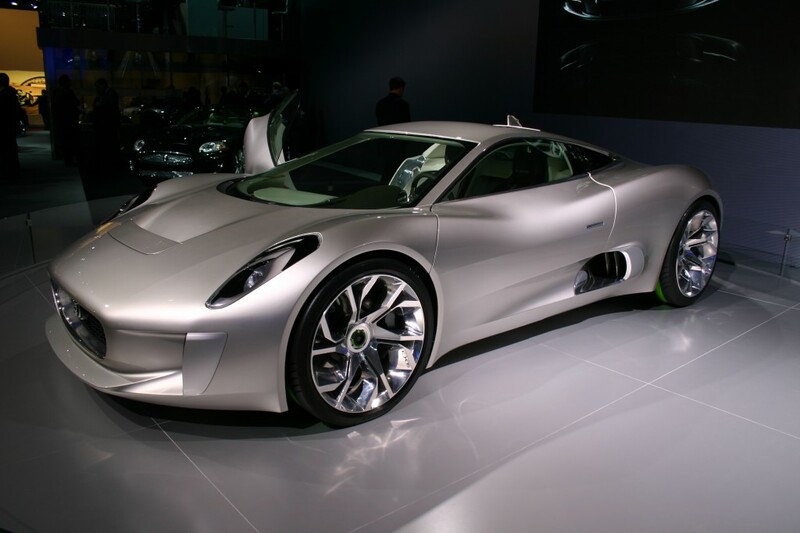 Press Comment : Is this really time for new management at JLR?